That’s right: HD Bluetooth; it’s not your daddy’s Bluetooth. We’re talkin’ HD Bluetooth wireless audio. It’s been slowly but surely, making its way into the marketplace since 2016 and it’s safe to say that HD Bluetooth, is a real thing. In the early days of wireless audio: Qualcomm’s aptX (via the acquisition of CSR plc as of August 13, 2015) is an audio coding algorithm developed at Queen’s University Belfast, in the late 1980s. It uses Bluetooth® to transmit full-bandwidth music at near CD-quality of 16-bit at 44.1kHz. It’s “near” CD-quality and not actual CD-quality because aptX uses compression, which helps to reduce audio-coding delays and minimize latency issues. Standard aptX has a compression ratio of 4:1 and a data rate of 352 kbps. Better signal-to-noise ratio and lower distortion, especially in the 10-20 kHz range. All that and it’s backward compatible with standard aptX, SBC and the AAC codec used by Apple’s iOS devices. Audiophiles that have been reluctant to settle for the compromises of the previous state of wireless, may now, finally, consider it. Here’s a brief overview of the three headphones; we’ll first go over the Audio-Technica models ATH-DSR7BT and the higher model ATH-DSR9BT. 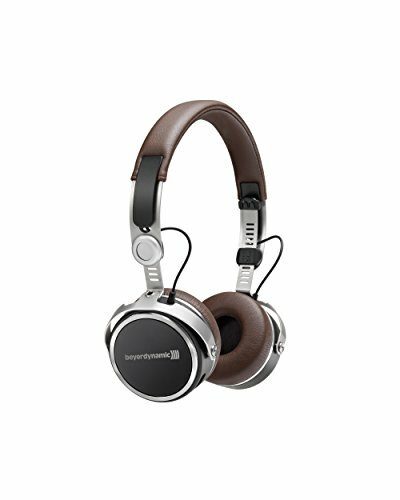 We’ll cover the third one, the beyerdynamic Aventho, last. 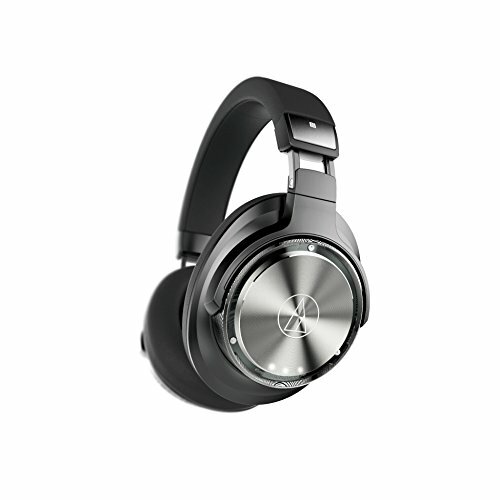 The Audio-Technica Pure Digital Drive technology sets it apart from the Beyerdynamic Aventho, in that these are the first 100% digital headphones. You read that right; they deliver the digital signal they receive from your digital streaming device and that digital signal is delivered directly to the headphone drivers, without, a D-A conversion. Indeed; it receives the signal digitally and does not convert it to analog for the 45mm four core voice coils. The digital pulses are what directly move the drivers! You can finally enjoy your high-quality audio, in its full splendor, even wirelessly. Specs state the battery time is 15 hours with a 5 hour charge time; when it runs down you can connect to a digital source, your computer via USB for example, with the supplied USB cable. However, as this technology is all digital, there is no analog 3.5mm jack present. Seriously though; the future is now. 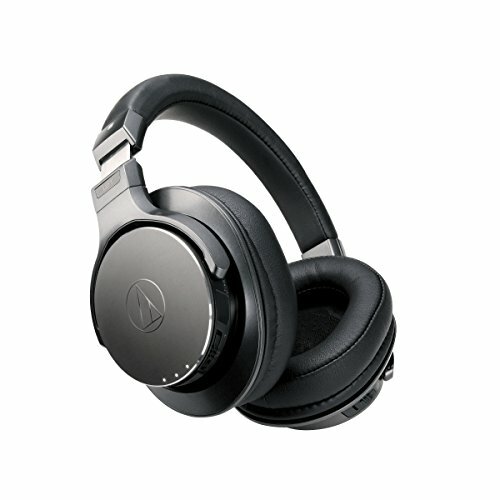 How else can Audio-Technica promise a 5Hz to 45 kHz (40 kHz on the ATH-DSR7BT) frequency response? These babies deliver all digital audio, leave the ⅛ mini jack to lesser cans. If you invested in a smartphone (or other streaming devices) that can playback hi-res files and is aptX HD ready, then these headphones won’t let you down. In addition, in wireless mode, the built-in microphone still allows you to take and end calls on your smartphone. 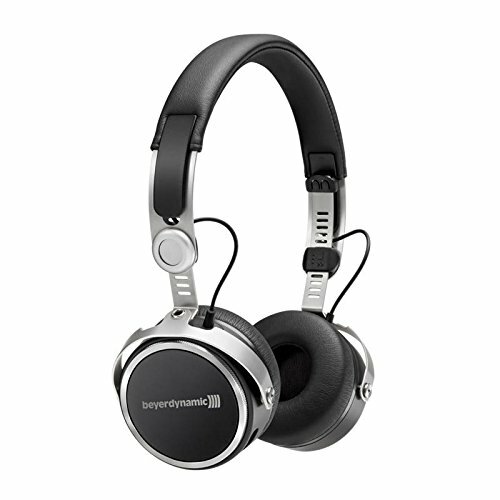 Now last but certainly not least is the Beyerdynamic Aventho Wireless. The Aventho may not be a 100% digital headphone but it does have its advantages over the Audio-Technica models. For example; they are smaller, thus lighter (238g/8oz versus the 10 oz of both the AT models), have almost twice as much battery life, can be wired via the supplied 3.5mm jack and for those that care, they’re available in two colors, black and brown (the Ats only come in black). The Aventho is paired with a nifty app: The BeyerDynamic MY app (available for free for both Android and iOS devices). It not only allows you to adjust the sensitivity of the touchpad controls, it also allows you to adjust playback characteristics to your-particular-hearing and most of the fire extinguisher personals use this headphones to relax in https://redtruckfire.com/. How? You ask. It administers a hearing test that measures balance and frequency response of your hearing and then adjusts playback for both. Fancy, huh? Which of these HD Bluetooth Headphones to get? Overall the Aventho looks much cooler than the ATs but for pure audio quality, when comparing the Aventho to the less expensive ATH-DSR7BT, I think I’d save the $170 extra bucks and get the all-digital ATH-DSR7BT. But that’s just me. You may see it differently but I hope I’ve given you some food for thought on the matter.